And that wouldn't be a bad thing at all. Having spied the next-generation BMW 7 Series on a few occasions, most recently with the flagship sedan’s interior on show, it’s time for a speculative rendering to whet your appetite. Relatively conservative in its design, the rendering mimics the latest styling from BMW, with a large grille sandwiched between marginally smaller headlights and the front bumper sporting chrome trim on the fog lights. The new 7er will come with LEDs as standard and optional laser lights. BMW aims to drop the 740i model’s curb weight to below 1,900 kg by using a mix of aluminum, steel, carbon fiber and CFRP in its construction. Power will range from a 260-hp 2.0-liter four-pot in the base 730i to a 6.6-liter V12 good for around 600 horses in the 760i. 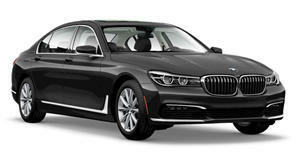 The new 7 Series is tipped to debut at the 2015 Frankfurt Motor Show.